AFRICANGLOBE – Africa’s handling of the Libyan crisis at the United Nations has been timorous and confusing, but it presents an opportunity as well as a challenge for the continental body on how it defines its future strategic interests. The African support of the U.N. resolution was a mistake not only because it undermined the existing mechanisms and processes that are relevant for human protection on the continent but also because the now two-month-long military response in Libya to protect civilians has since degenerated into a plan to embolden Libyan rebels fighting to oust the country’s leader, Muammar Al Gaddafi, from power. The Mar. 17, 2011 U.N. resolution on Libya is historic but problematic. It marked the first time the Security Council has authorised a military response to protect civilian populations in a non-consenting state. The action, according to the U.S. and its allies, was necessary to protect civilians from a leader who has “no conscience” and was intent on committing mass atrocities. The resolution is based on an emerging human rights norm, not law, known as the Responsibility to Protect (R2P). According to this principle the international community has a responsibility to intervene in sovereign territories to prevent and halt mass atrocities. R2P remains controversial and the Libyan events exacerbates (rather than eases) our understanding of its application. For instance, are armed rebels trying to overthrow that government civilians or combatants? Does the claim of civilian protection justify attacking pro-regime forces? Further, does the call for regime change by the sponsors of the resolution, and the wanton civilian deaths that have occurred as a result of the intervention, not dilute the case for R2P? Though the AU now balks at the idea of toppling the Gaddafi regime, that objective was no secret. On Feb. 26, three weeks before the U.N. vote, the U.S. insisted that Gaddafi had lost legitimacy and should go. This notwithstanding, all three African countries (South Africa, Gabon and Nigeria) on the Security Council voted in favour of military action, allowing the resolution to pass by one vote more than was required. China even noted that it had not exercised its veto powers out of respect for the wishes of the Arab League and the African Union. The group was scheduled to meet both sides to the conflict in Tripoli on Mar. 20. It is rather puzzling that just two days before their own peace mission was about to begin, African leaders voted to use force in Libya. South Africa’s vote is particularly interesting because it was on both the AU Libya committee and the U.N. Security Council. South Africa’s envoy reportedly failed to show up for the final vote, causing Susan Rice, the U.S. ambassador to the U.N., to dash out of the Security Council chambers in search of him to cast an affirmative vote. It was also revealed later that U.S. President Barack Obama had personally pressed President Jacob Zuma of South Africa to support the resolution. Having voted for the resolution, the five African presidents had to request permission from the Security Council in order to travel to Libya due to the no-fly zone restrictions. They were humiliated when their request to travel was initially denied. Indeed, the bombing campaign started on the very day they were scheduled to arrive there. It was not until two weeks later, on Apr. 10, that their request was approved. If the Africa leaders had not voted for the resolution, they would not have had to ask permission of non-Africans in order to resolve this continental crisis. Finally, if African leaders really believed that humanitarian intervention were needed in Libya, they could have acted independent of the U.N. Article 4(h) of the AU Act gives the AU the right to intervene forcibly in one of its member states with regards to war crimes, genocide, and crimes against humanity. Thus if the AU was convinced that Gaddafi was committing mass atrocious crimes, they could have taken unilateral action without recourse to the U.N. The U.N.-sanctioned war in Libya is unfortunate. Libya has the highest development on the continent in terms of education, health and wealth. According to last year’s U.N. human development report, Libya even outperformed Brazil, Russia, India, China and South Africa – the BRICS group of fastest growing economies. The war also deals a blow to the AU aspirations for a united and strong Africa. Ruthless and erratic as he may be, Gaddafi, having led the transformation of the Organization of African Unity (OAU) to the present AU, champions the pan-Africanist vision like no other current African leader. 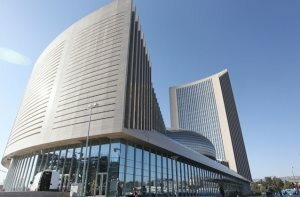 The Libya debacle provides an opportunity for the AU to elaborate on its principles of democracy and human rights, the basis of the current war. The AU needs clear and consistent guidelines on what it means by consent of the governed. In the case of Libya, they ought to have a discussion on whether the political system outlined in Gaddafi’s green book is legitimate.